The war of words between Kim Jong-un and President Trump does not have to end in nuclear conflict. Tensions on the Korean Peninsula continue to intensify as Kim Jong-un engages in nuclear and missile testing and the UN responds with increasingly severe sanctions. The threat to the US posed by North Korea has increased significantly in recent months. Since Kim Il-sung took charge of the country in 1948, each member of the Kim dynasty has threatened to wreak havoc on their neighbour to the south and on the US, which they regard as their primary enemy. For most of that time, the regime’s capabilities have not matched its rhetoric. 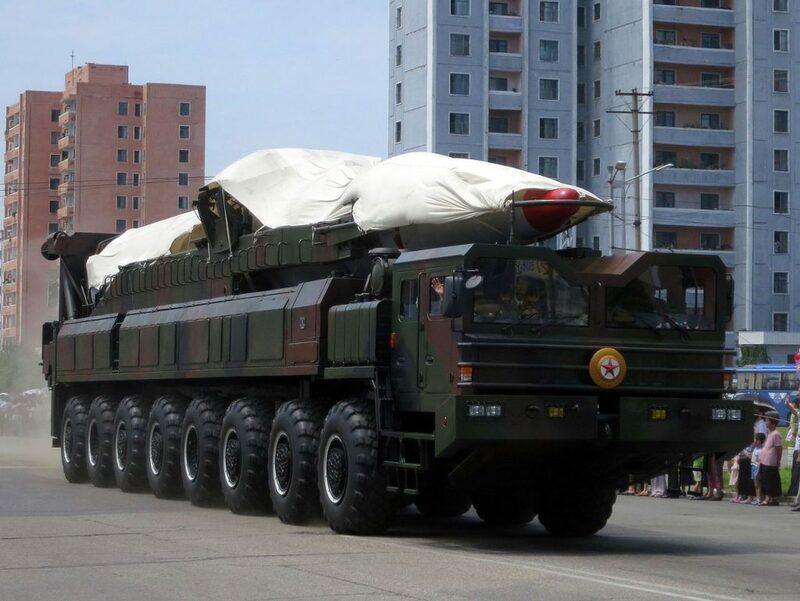 However, with the revelation that they now have missiles capable of reaching the US mainland, the equation has shifted dramatically in a very short space of time. Pyongyang claimed a successful test of a hydrogen bomb on September 3, potentially equipping the regime with the power to unleash destruction that could decimate capital cities in the region and beyond. Tension is further driven by the fact that little is known about Kim Jong-un’s intentions. This is only exacerbated by President Donald Trump’s increasingly aggressive rhetoric, exemplified in his maiden speech at the UN, where he vowed to “totally destroy” North Korea if necessary. North Korea has been a problem for the US since the defeat of Japan at the end of the Second World War. Following the liberation of the Korean peninsula from Japanese rule, the US and the Soviet Union divided the country into a US-occupied South Korea and a Soviet-controlled North. The subsequent Korean War (1950-1953), in which the US sided with South Korea to prevent the North occupying the entire peninsula, devastated the North and solidified the role of the US as the South’s key military ally and diplomatic and economic partner. 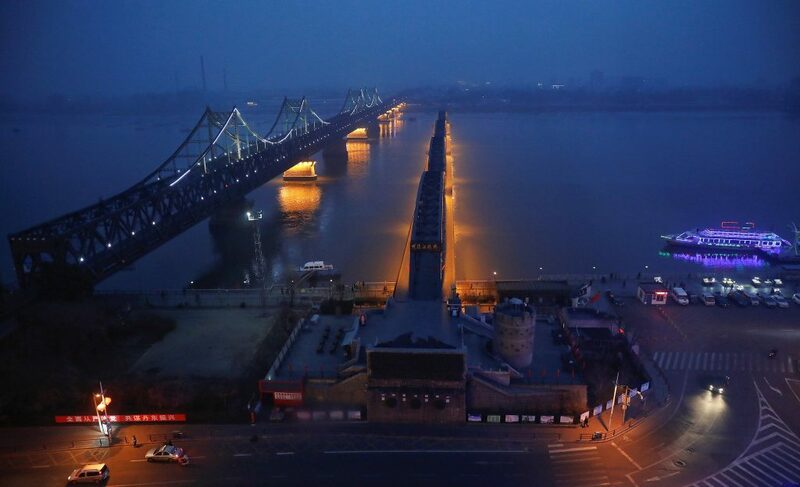 This fuelled Pyongyang’s perception of the US as the main roadblock to Korean unification. Since then, world leaders have responded to North Korea’s intransigence with a mixture of carrots—offering aid in return for denuclearisation—and sticks—such as increasingly harsh sanctions imposed by the UN Security Council—in the hope of staving off the North’s reckless and destructive behaviour. North Korea has largely ignored the international community’s demands and instead become increasingly isolated. Yet with the regime in possession of a progressively more powerful nuclear arsenal and the missiles to match, the appropriate way forward for the US has become even more uncertain. President Trump has publicly flirted with the idea of military action. A kinetic response has one critical advantage over any other option: it would likely resolve the central problem, namely a hostile North Korean regime. 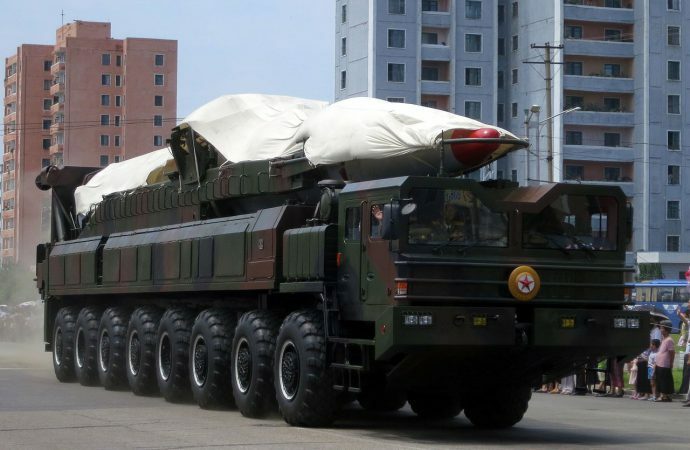 However, a pre-emptive strike carries the very real threat of a North Korean counter-attack, which could be devastating for the South Korean capital of Seoul and its metropolitan population of 25 million people. Given Seoul’s close proximity to the North, and the substantial artillery Pyongyang has aimed in its direction, the North could destroy substantial areas of the city with relative ease. Even in the best-case scenario where the North Korean regime is decapitated without provoking a response—or the US is able to neutralise the artillery bombardment, as US Defense Secretary James Mattis has suggested—the region would need to re-build North Korea’s society. In a post-Iraq War world, the West’s appetite to pursue a military option followed by state-building is virtually non-existent. That said, until now North Korea has not possessed the capability to truly threaten the US. Given that their missiles can now reach the US mainland, the North’s more routine belligerence may unintentionally jolt Washington into lethal action. With a self-described unpredictable commander-in-chief, this is a real possibility. A second option for the US is to encourage regional powers to do more to pacify the North Korean regime. Given their shared border and strong economic relationship, China is the most capable state to do so. Indeed, China has begun to squeeze the regime by cutting off access to its financial and education sectors and limiting the supply of oil to the North. However, Beijing will only push Pyongyang so far. China fears the regime’s collapse will lead to a US-aligned unified Korea, resulting in American troops being stationed on China’s border. Beijing is unwilling to accept this arrangement—its own intervention in the Korean War was predicated on the same fear—and as a result, Chinese pressure on North Korea will be tempered. The role of Japan could also prove crucial. Already a favoured target for Pyongyang’s hostile rhetoric, North Korea has further antagonised the Japanese by firing ballistic missiles over the country’s northern islands. North Korea’s aggression will play into Prime Minister Shinzo Abe’s political ambitions to revise Japan’s pacifist constitution and expand Japan’s military capabilities. For China, as intolerable as a greater US military presence in South Korea may be, an increasingly aggressive-minded Japan is not a welcome substitute. China must also contend with its understanding of Japan’s significant latent capacity to develop nuclear weapons, which is restrained by a strong domestic anti-nuclear sentiment coupled with prohibitive international norms. Though Japan may not go as far as to develop a nuclear arsenal in response to North Korean threats, its ability to do so will worry Chinese policymakers. Negotiating directly with the regime is the traditionally favoured approach. The vast economic and military power of the US enables Washington to put substantial pressure on the regime. A comparable example is the Iranian nuclear deal, signed after Iran agreed to step back from the nuclear precipice in exchange for sanctions relief from the US and other world powers. However, this approach would be unlikely to yield similar results with North Korea. Kim Jong-un does not have to answer to his population in the same way as the Iranian regime, which experienced mass protests in 2009 and again in 2011 as the economy struggled under sanctions. The fear of public opinion is absent in North Korea as the totalitarian state has exceptional control over its population. Consequently, sanctions relief offers little value as a negotiating chip, and further overtures to the regime to curb its nuclear weapons program are likely to be rejected. For there to be any possibility of negotiation, Kim Jong-un would have to feel that his personal security is at risk. Yet possessing a nuclear arsenal provides him all the security he needs, leaving little incentive to come to the table. Washington’s last option is to withdraw from the issue altogether. The US may decide that the benefits of remaining engaged on the Korean peninsula are not worth the risk to its own security. In previous years, withdrawal would seem unlikely as such action would fundamentally compromise US leadership in the Asia-Pacific. 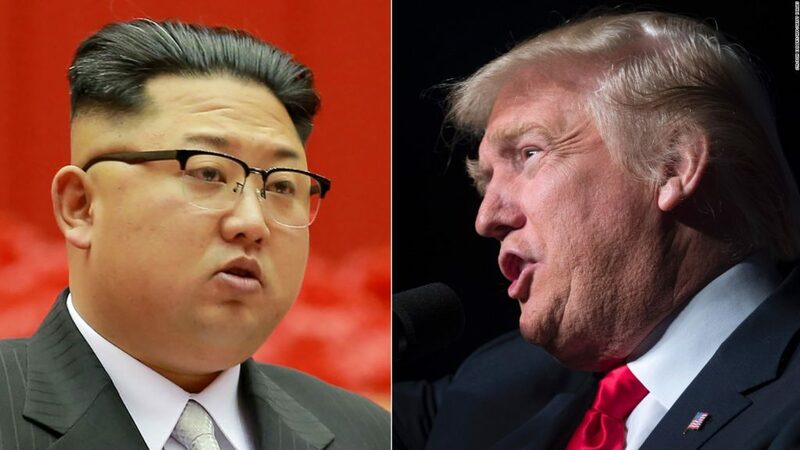 However, the US has grown weary of lengthy conflicts in far-away regions, and despite his aggressive rhetoric towards Pyongyang, Trump campaigned on a pledge to instil greater self-reliance among the country’s allies, including South Korea and Japan. There is every chance that Kim Jong-un would use the opportunity presented by US withdrawal to further extend his pursuit of the respect and fear that comes with being a nuclear power. Furthermore, US apathy would likely embolden other rogue states to pursue their nuclear ambitions, knowing the world’s most formidable superpower will offer little resistance in the face of nuclear threats. The underlying trends of this nuclear stand-off are complex and it is still unclear what path the US will take. However, the belligerent rhetoric emanating from both sides is unlikely to subside soon, and Kim Jong-un can be expected to continue pushing his luck. Whether either leader will follow through on their threats is both the least knowable and most decisive factor in this ongoing crisis.